ftwProposal Pro is an innovative and easy to use proposal solution designed to help you present your clients with the best possible plan options. 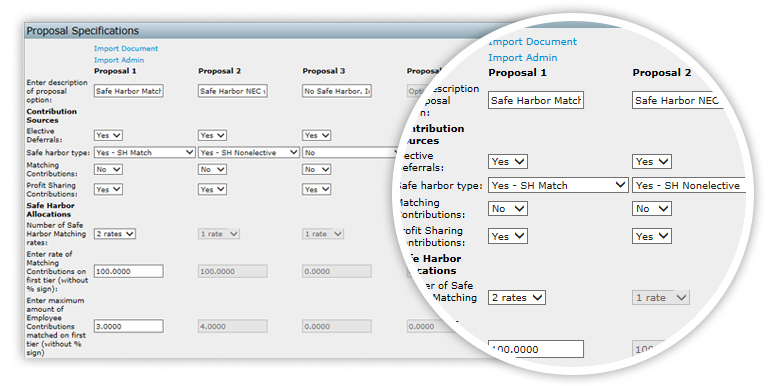 Calculate complex allocations and perform compliance tests with a click of a single button! ftwProposal Pro is seamlessly integrated with our Plan Documents and Compliance Testing and Reporting Modules. Our proposal system can be used for both prospective clients and existing customers.